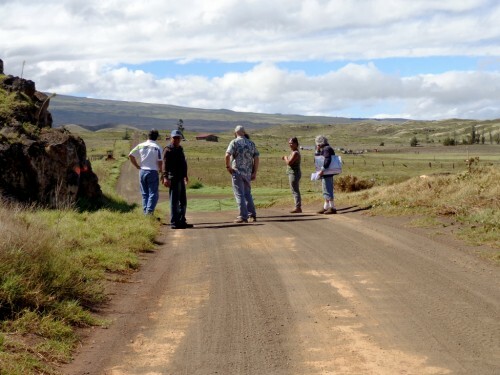 PUʻUKAPU, HAWAIʻI – Steep drop-offs and adjacent rock outcroppings along the cinder road running through the Puʻukapu Pastoral Lots Subdivision in Waimea, Hawaiʻi, were just some of the safety hazards noted in a recent assessment by Department of Hawaiian Home Lands’ traffic engineers. DHHL has since completed roadway improvements at three of the more severe sections of the Puʻukapu Pastoral Lots Roadway, and efforts are underway to address the remaining roadway improvements. 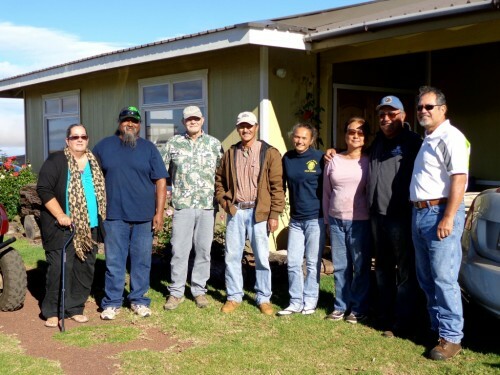 To aid the Department in identifying the most critical sections of the roadway, a handful of Puʻukapu pastoral lot homesteaders hosted DHHL staff and consultants on a site visit of the roadway last week. The site inspection findings allows the Department to prioritize its list of roadway improvements as they implement the next phase of road work in Puʻukapu. 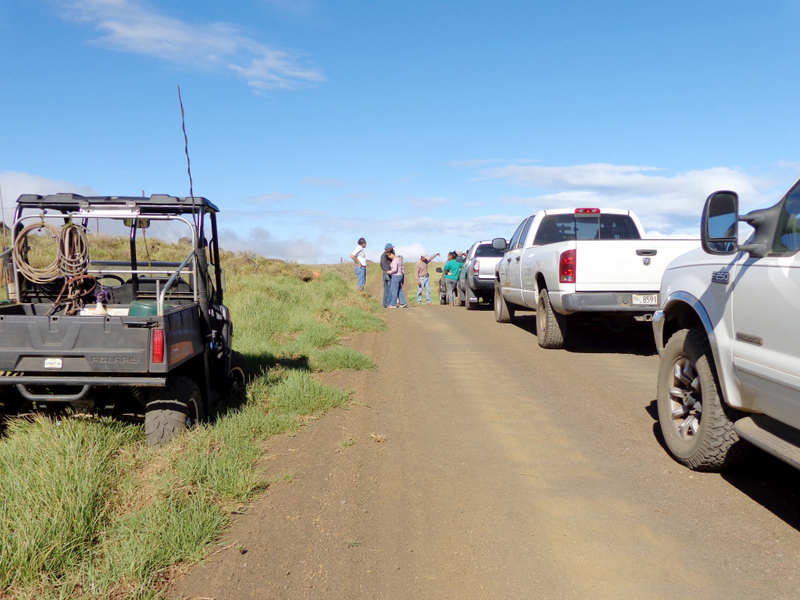 Aside from the steep drop-offs and rock outcroppings, Puʻukapu lessees also noted the bumpy driving conditions caused by traffic and inclement weather. 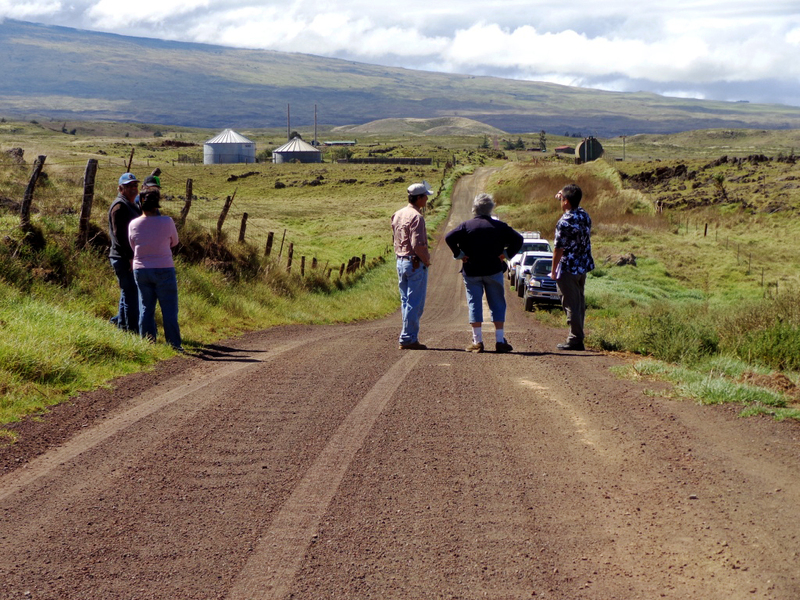 Upon completion of the improvements, DHHL will accept the roadways and amend the pastoral lease to reflect actual commencement date of the Puʻukapu pastoral lots. Special mahalo to Puʻukapu pastoral lot lessees Bert and Penny Miranda who coordinated the site visit.